The last time leaders of the Church of Jesus Christ of Latter-day Saints (yes, that’s a mouthful) decided we weren’t going to call ourselves Mormons anymore, I obediently stopped using the word Mormon and switched to the term “LDS” until the I’m a Mormon campaign, when I realized that the church style guide had changed again and I went along. That means that we are the church. Once, when I was doing a television interview about Ordain Women activism, a reporter asked me to respond to critics who believed we were harming the church. The church isn’t its buildings, not even its headquarters. It is us. It is our responsibility. Thinking of the church this way helps me to realize the importance of each of us doing our part to make the church reflective of Christ, for whom the church (that’s us) is named. Are we building Zion? Or are we complacent? 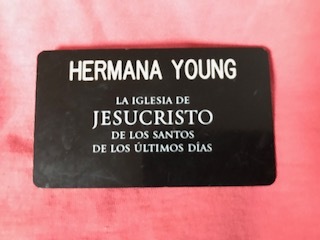 When each of my children are baptized, I show them my name badge from my missionary service. It says the word, “Jesucristo” in bold letters. I tell them about how I felt an extra responsibility to reflect Christ’s love and do his work when I wore that badge, because I was literally wearing the name of Christ. However, I remind them, when we are baptized and confirmed as members of the church, we symbolically take upon us at that same name and carry that same responsibility. Remembering that we are the church also helps me to understand the church’s flaws. With one great exception, people have never been perfect. In this sense, the oft repeated mantra, “The church is perfect but the people aren’t,” is a nonsense phrase. The church cannot be perfect because we are the church and we are not perfect. 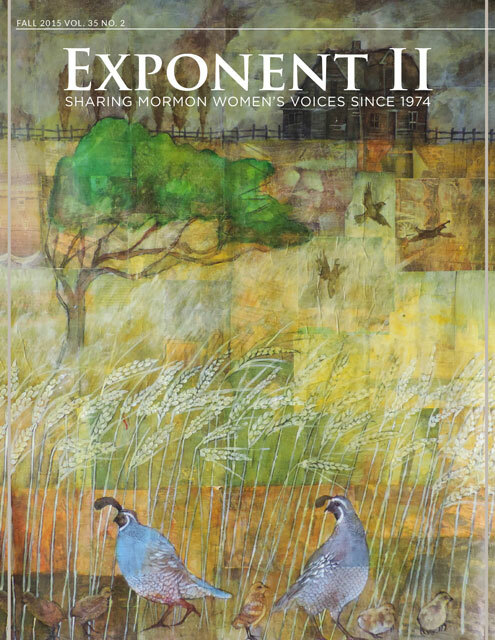 Even putting aside questions of whether the new style guide is practical (it’s not), I feel a great sense of trepidation about the instruction to refer to ourselves as, and expect others to call us, “Latter-day Saints.” I am no saint, and I don’t know any. Even if we sincerely aspire to become saints, can we expect people to call us that when we so obviously haven’t reached that goal? I don’t know, but regardless, as I have pondered these questions, I have remembered the joy I felt at taking upon myself the name of Christ when I was baptized, and that same joy again when I literally pinned the name of Christ onto my chest as a missionary. It is unlikely that I will ever be worthy of that name. I doubt that I will ever achieve sainthood, but there can be joy in the attempt. Should Women’s Meeting be part of General Conference? We are saints though. One need not be perfect to be called a saint. All faithful, yet still imperfect members, are called “saints”.